Signature Crest Lonavala is easily accessible from the railway station. Signature Crest Lonavala is a Service Apartment that offers an exquisite blend of comfort of a private home with services & security of a luxury hotel. Industry professionals who have over 20 years of rich experience in hotel, resort and service industry promote the hotel. 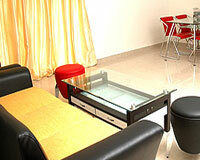 Signature Crest Lonavala provides warm hospitality coupled with efficient and personalized service. 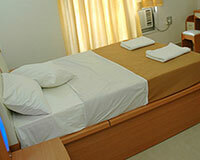 Hotel Signature Crest Lonavala offers apartment type rooms. All the apartments are aesthetically designed and fully furnished with rich elegant interiors, fine furnishings, exquisite upholstery, well equipped kitchen, marble flooring etc.